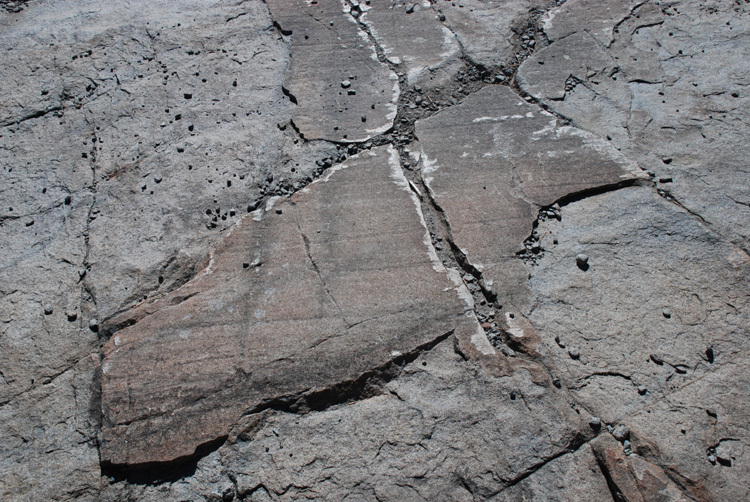 Striae are grooves in the bedrock created as glaciers drag boulders over the bedrock. A few nice striae can be seen in the center of this image. The areas around the edge of the image have been eroded away since the glacier retreated.